Natural circulation systems are a simple and cheap solution for the production of domestic hot water. Natural circulation is based on the expansion of liquids under the action of heat and, therefore, it does not require pumps or electronic control units. 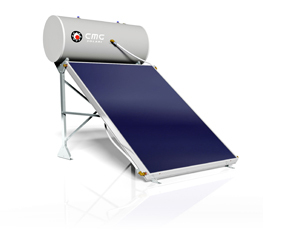 The tank is placed above the solar collector and is made up of a central storage of sanitary water, surrounded by an interspace (jacket) in which the heat-carrying fluid flows, which is heated by the panel. 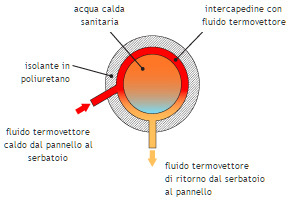 The absorber surface transmits the heat to the heat transfer fluid which, when heated, increases in volume and, consequently, becomes more rarefied and light, rises along the plate reaching the cavity of the tank where it releases the heat to the sanitary water through the surface contact. The working fluid then, increases its specific gravity and then re-descends into the lower part of the absorbent plate to begin a new cycle. 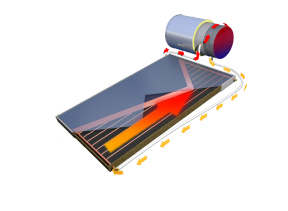 The process lasts until the plate is heated by the sun. 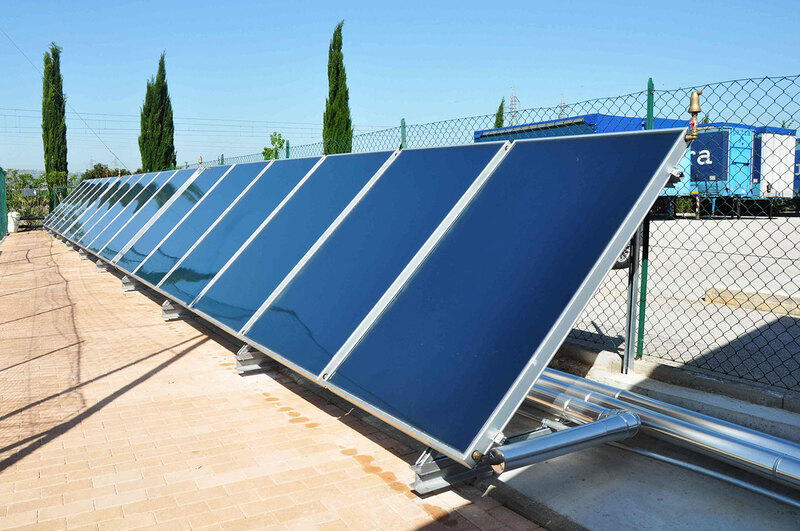 Compared to other traditional systems, the kit Excel is characterized by the inlet of the heat transfer fluid positioned on the middle part of the tank, making it possible to heat the water present in the upper part of the DHW storage faster and so to obtain a better heat stratification. 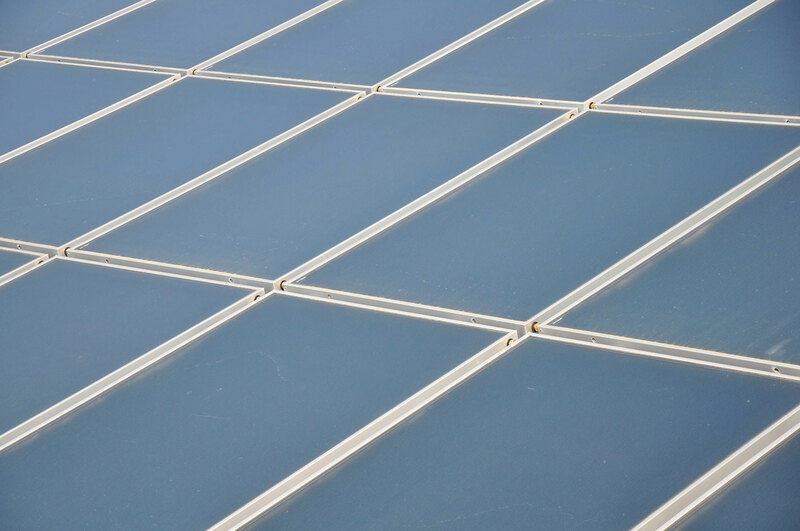 Microprismatic tempered solar glass with low iron content. 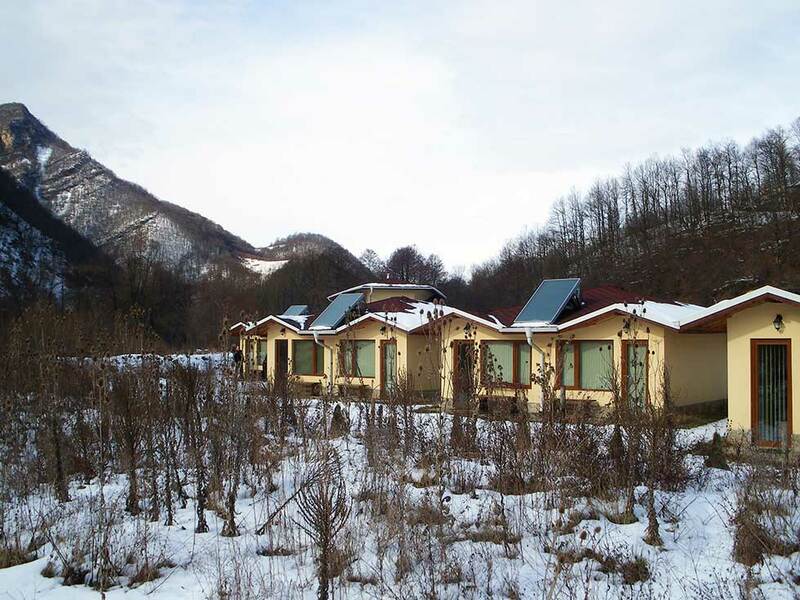 The kit Excel is available in the EQUATOR lowered version which, with a height of less than one meter, is practically invisible on flat roofs.